Many people avoid taking a cruise because they are fearful of experience motion sickness. If you have ever experienced being sea sick it is pretty terrible. Not only do you experience nausea, but you can get migraines and even vomit. The best way to prevent this is by making sure you have the best motion sickness medicine for a cruise packed in your luggage. The easiest way to explain motion sickness is to say that it is a disturbance of the inner ear. Your inner ear is responsible for keeping your balance. When your inner ear and brain fail to communicate properly, it can make you feel dizzy, nausea, and just plain sick. Typically it happens when a ship is rocky. When the ship is sailing and swaying due to wind and/or waves, your equilibrium can be affected. Your eyes see things as normal, but your brain can sense the swaying due to the movement. This causes a disruption to your senses and ultimately can result in feeling dizzy & sick on your stomach. In order to prevent experiencing motions sickness on a cruise is to make sure you are prepared. Packing some motion sickness medicine or devices is something everyone should do. Motion Sickness Relief Pills. There are a few different medications on the market that can be taken orally to prevent motion sickness. Many claim that they not only prevent and treat nausea, but do so without making your drowsy. I would make sure you do get the non-drowsy version so that you don’t miss out on all the cruise fun by having to sleep off the nausea. If you are someone who would rather take a pill to help combat the side effects of sea sickness, this might be a viable option. Ginger candy. This is an especially good option for children who you don’t want to medicate or for adults. Ginger is known as a great natural cure for nausea. If you know that you are predisposed to stomach ailments, it is always good to chew on a little ginger. Sea-Bands. These acupressure wrist bands are discreet and can be worn during the entire length of your cruise or just when you are symptomatic. The bands put pressure on the underside of your wrist which contains a trigger spot that can help combat the signs of nausea. These are popular because they don’t cause side effects (like tiredness) that some over the counter anti-nausea medications do. Motion Sickness Patch. Have you ever noticed people on cruise ships wearing a small round patch behind their ear? These motion sickness patches help ease discomfort and can be worn for up to three days. The patch contains different herbal properties that are delivered through the skin to prevent the effects of sea sickness. Get fresh air. The fresh air can help trigger you to not only breathe more and deeper, but it can also help you to relax. Face the directions the ship is sailing. Giving your eye a stable focal point (like the horizon) can combat motion sickness by forcing the brain to regain a sense of centering. Get as close to the center of the ship as possible.The center of a cruise ship is often the most stable and where you are less likely to feel any swaying. If you know you are prone to sea sickness, you may want to choose a room in the center of the ship. If you find yourself seasick on a cruise and are unable to get it under control, you should to contact the first aid station on the ship. They should be able to provide you with something to help settle your stomach. 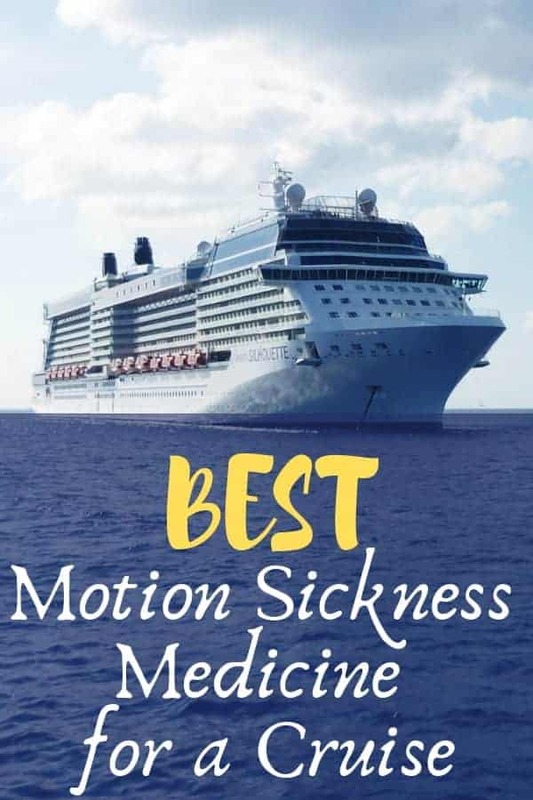 Do you suffer from motion sickness or seasickness? What tips do you have for those considering taking a cruise?